Constructed in 1864, The Glebe Hotel building dates from the early settlement along Glebe Point Road. Despite changes and alterations over time, the strong corner form and configuration remains largely intact. It was first licensed as The Glebe Hotel in 1864 and ceased trading in 1909. 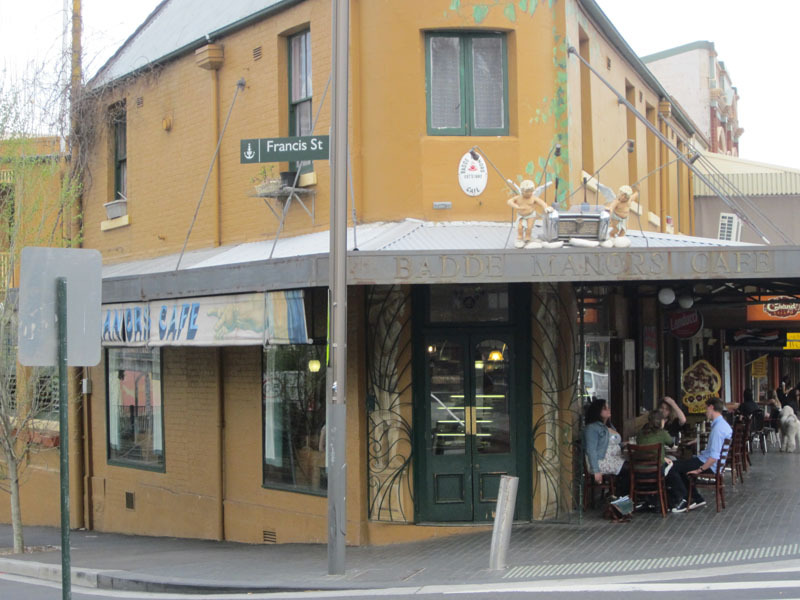 Badde Manors Cafe is itself something of a Glebe institution. Established in 1982, it was one of the first cafes to open on Glebe Point Road, and is the longest lasting. The gospel choir founded by Tony Backhouse, Cafe at the Gate of Salvation, used to practice in the upstairs room.